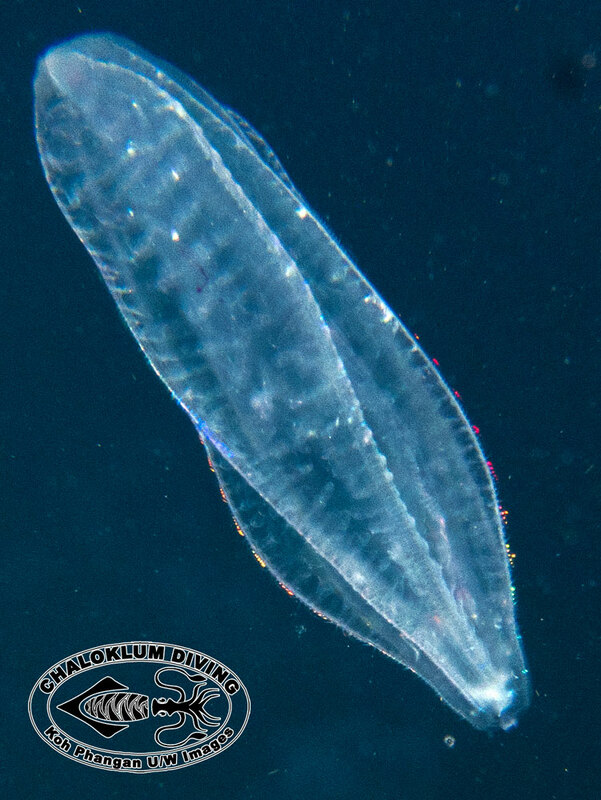 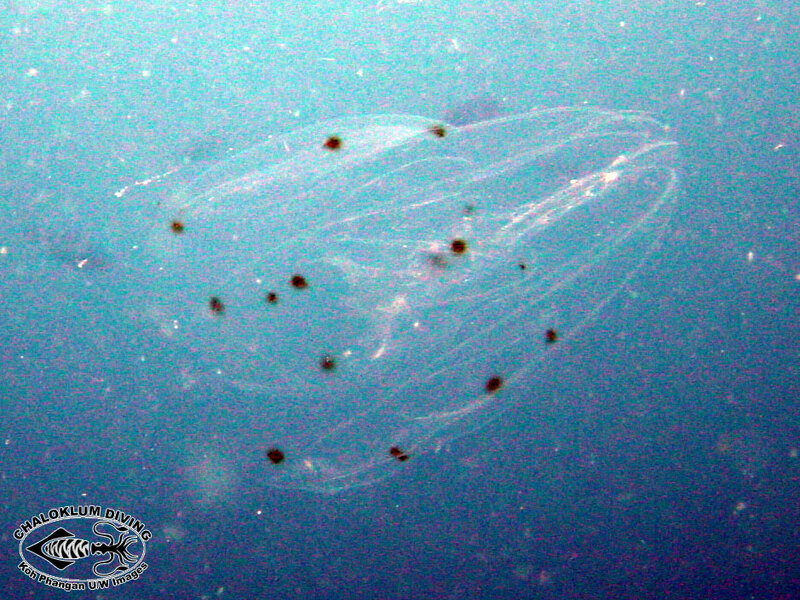 Comb jellys are weird transparent predators that catch small stuff using sticky darts, unlike the poisonous Cnidarians. 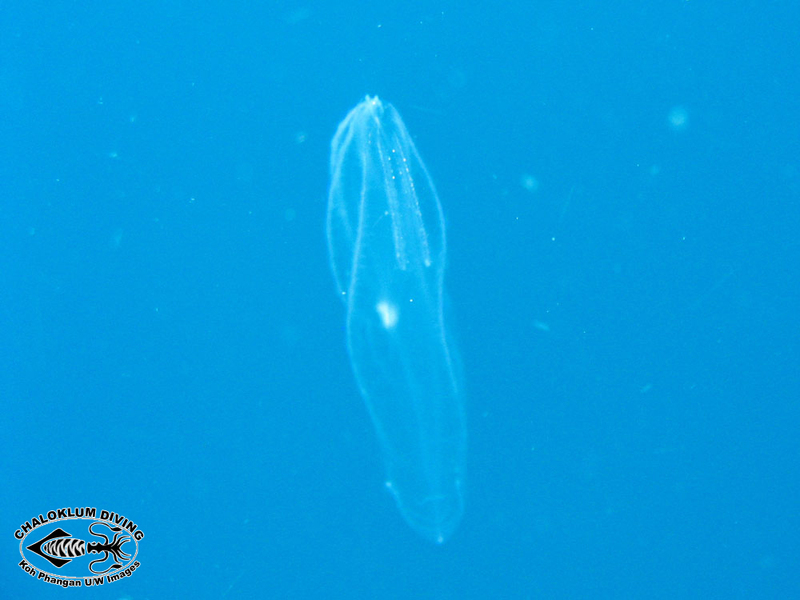 They are rarely noticed when we’re out diving or snorkelling. 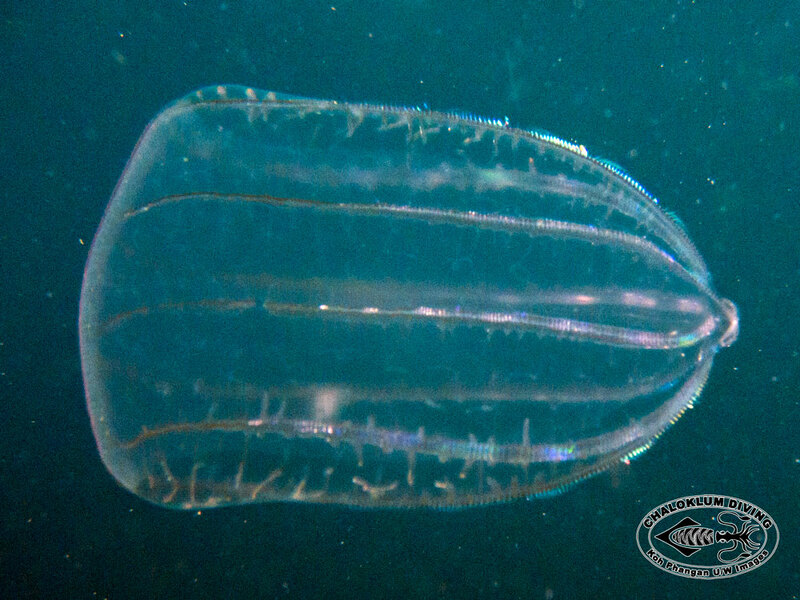 We suspect that they might be quite spectacular if seen on a night dive.